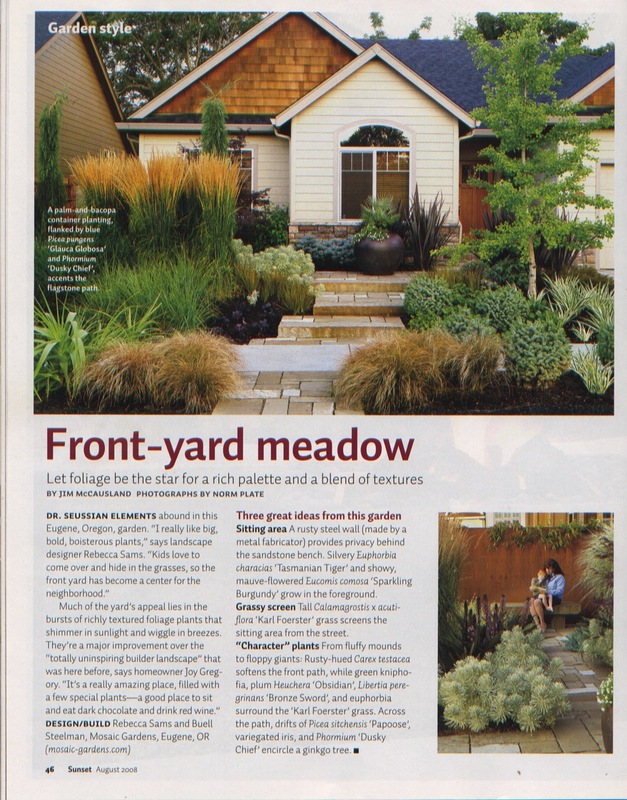 Sunset's article, 'Front Yard Meadow.' 2008. Eugene, Oregon landscape designed and installed by Mosaic Gardens.